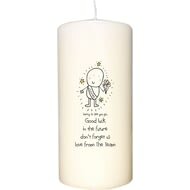 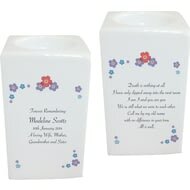 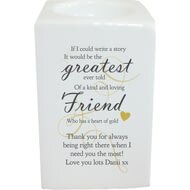 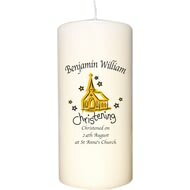 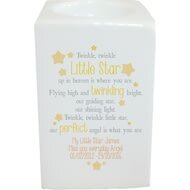 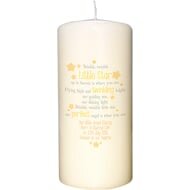 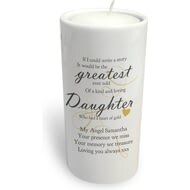 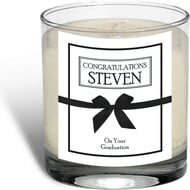 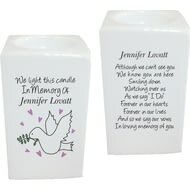 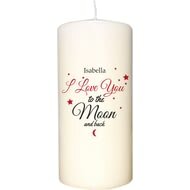 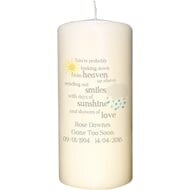 A sentimental poem adorns the front of this commemorative candle. 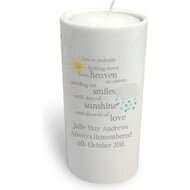 Say 'Happy Mother's Day' in style with this bespoke ivory candle. 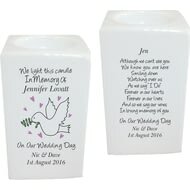 In some parts of the world it used to be traditional to give an ivory gift on a 14th wedding anniversary. 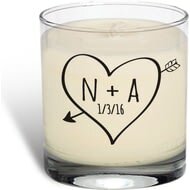 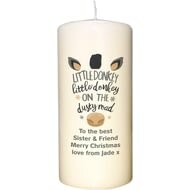 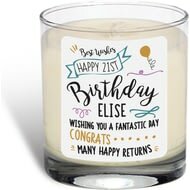 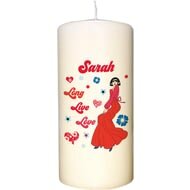 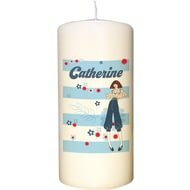 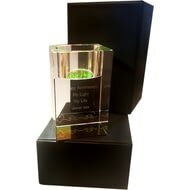 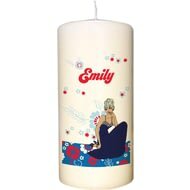 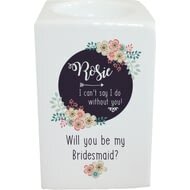 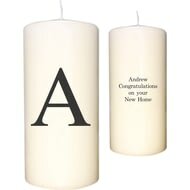 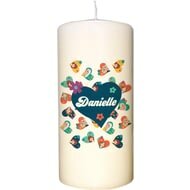 A chic and simple black design runs across one side of this beautiful candle, which we personalise by adding the initial and message of your choice. 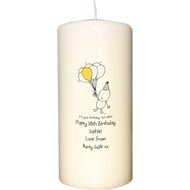 Balloons, cake and a thoughtful gift help to make the perfect Birthday party. 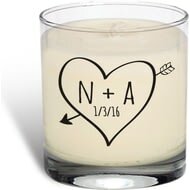 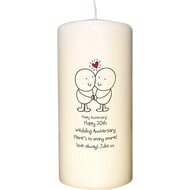 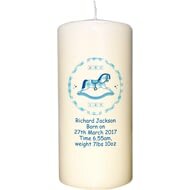 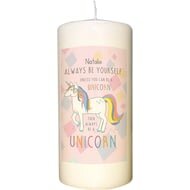 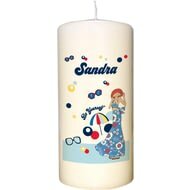 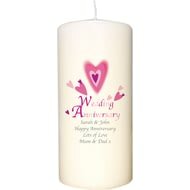 Put the cherry on the cake with this bespoke candle for the Birthday boy/girl. 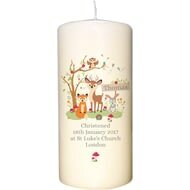 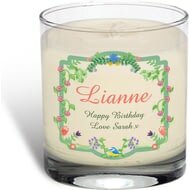 A rose scented candle featuring our Spring Garden design.